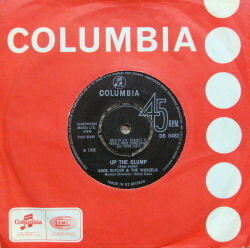 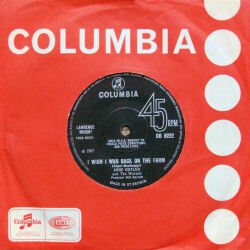 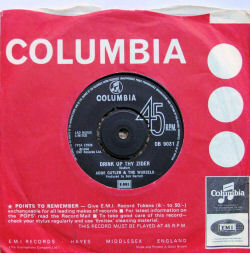 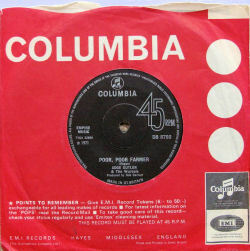 Most of Adge's singles were released in the third red-with-flat-top design sleeve, except for Poor, Poor Farmer and the Drink Up Thy Cider re-issue which has the darker red with the wavy top sleeve. 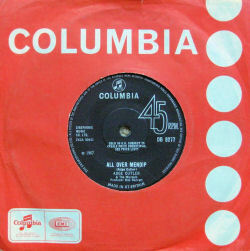 However, many singles appear to have been sold in the earlier green sleeves for some unknown reason. 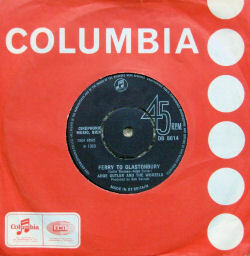 For the real record collectors out there - the 'resale' writing on the centre of the discs put on labels in 1964 was permitted to be removed from 1968/69 and so these doesn't appear on the later singles. Also note that the matrix info on original 1966 release of Drink Up Thy Zider (DB8081) and the 1974 reissue (DB9031) are the same, so the singles are musically identical.